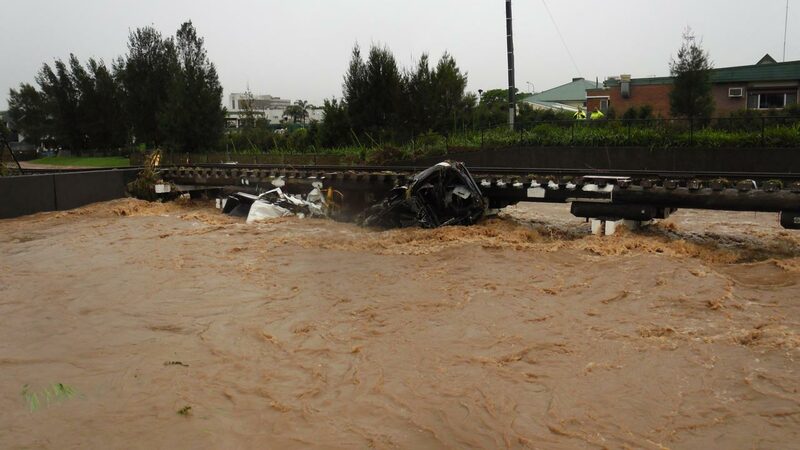 The devastating floods of December 2010 and January 2011 brought horror to the Darling Downs community and unprecedented damage (almost $150 million) to the Toowoomba Regional Council’s roads and bridges. 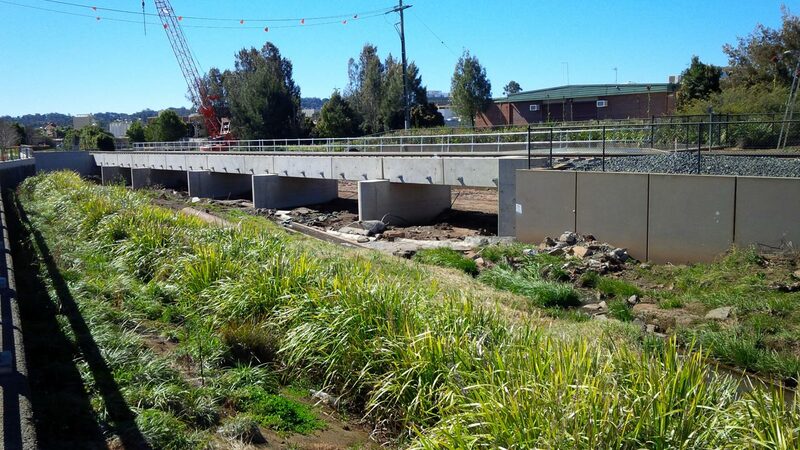 Among the many bridges damaged were the Jellicoe Street road bridge and the West Creek (Dent Street) railway bridge bordering Toowoomba’s CBD. 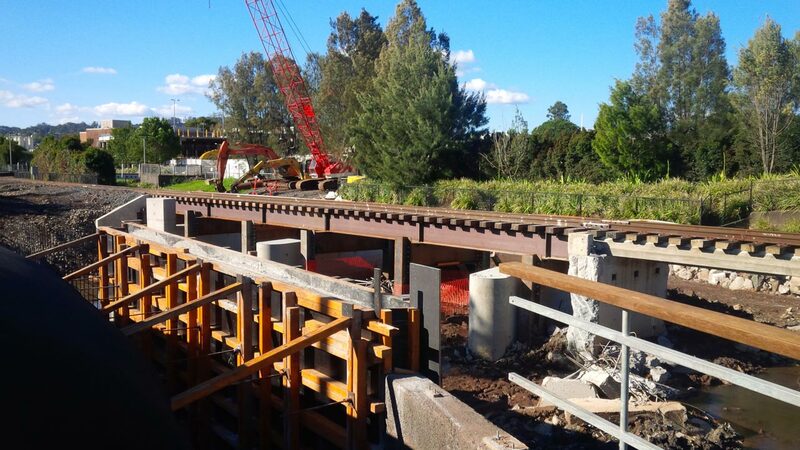 Queensland Rail planned the West Creek Bridge as a two-stage construction process. First they commissioned a temporary bridge to support the railway line in the interim, as the creek was being widened for flood mitigation purposes. All the while, the new permanent extended rail bridge was in the making. 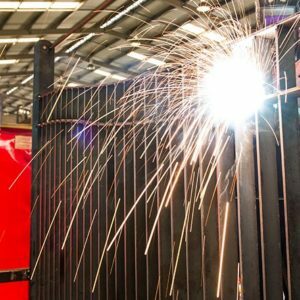 Designed by structural, civil and environmental engineers, Westera Partners, the construction was awarded to Davbridge Constructions who in turn called on local contract metal manufacturer, Kenro Metal Services. As well as supplying heavy steel girders and beams to support the railway line during the temporary bridge construction, Kenro also proved invaluable during the construction of the new permanent bridge. Their attention to detail came to the fore when they offered technical assistance and practical advice stemming from years of hands-on experience in the Civil & Construction industry. 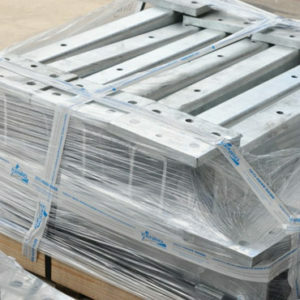 The ‘one stop metal products shop’ also took care of galvanising each of the metal components and provided delivery in full on time to the site. 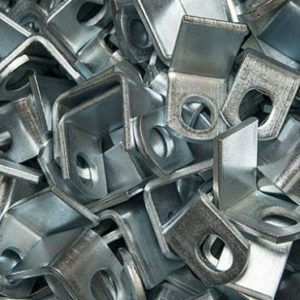 Contract metal manufacture…locally AND globally. From the Jellicoe Street and West Creek bridges to Liberia in West Africa, Kenro’s quality metal products and services literally span the globe. 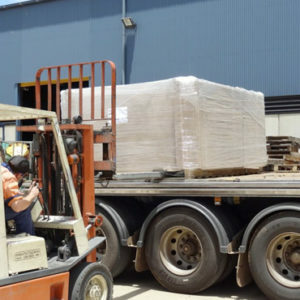 Kenro are equally at home working within sight of their Toowoomba metal manufacturing headquarters as they are supplying metal components to interstate locations such as Canberra, Hunter Valley, Tasmania and Western Australia and also offshore to countries as far away as Canada. For assistance with or to arrange a quote on any bridge building or reconstruction project, or in fact any upcoming infrastructure project, please call 617- 46 999 888 and speak to Jim, Bernard or any member of the Kenro team. Or for more information about our Civil & Construction capabilities, simply click here.